It looks like oil is the Grinch stealing the typical Santa Claus rally the market enjoys in December. Stocks plunged Friday. The Dow fell 310 points, a nearly 2% decline. It finished the week 3% lower. 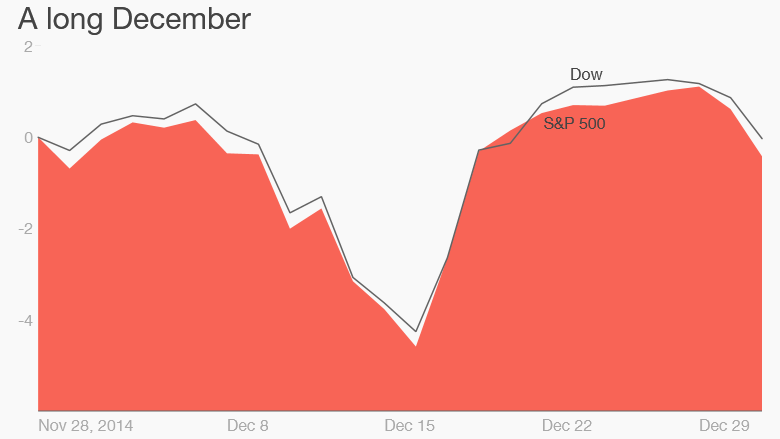 The S&P 500 and Nasdaq have now dropped more than 3% this month. The continued collapse in oil prices was clearly putting investors in a foul mood. Crude fell 3.5% to a new seven-year low and dipped below $36. Investors wouldn't touch big energy stocks with a 39-and-a-half foot pole. Chevron (CVX) fell 3%. Natural gas companies Chesapeake (CHK) and Southwestern Energy (SWN) plunged 9% and 14%. Weaker-than-expected retail sales for November didn't help ether. Investors were also spooked by the fact that a big junk bond fund -- the Third Avenue Focused Credit Fund -- announced plans to liquidate late Thursday and is not allowing shareholders to withdraw money from the fund just yet. That is pretty scary. It's a further sign of turmoil in the bond market, particularly for high-risk corporate bonds. So it should be no surprise that CNNMoney's Fear & Greed Index, which looks at seven gauges of investor sentiment, hit Extreme Fear mode Friday. But is there hope on the horizon? Some think that the Federal Reserve could save the day. If the Fed raises rates on December 16 -- which is now widely expected -- and signals that future rate hikes will be small and gradual, then that could cause stocks to pop. Investors may interpret the Fed's move as a sign that it is still confident about the economy and job market despite the worries about commodity prices and slowing growth in China. "As long as the Fed hikes rates, there could be a relief rally," said Michael Arone, chief investment strategist with State Street Global Advisors. Arone argues that it's too early to be like the Heat Miser and Snow Miser. This may not wind up being The Year Without A Santa Claus Rally. Investors may be pushing the expected start of the Santa Claus rally earlier and earlier each year. Just like retailers putting out their Christmas merchandise the day after Halloween. 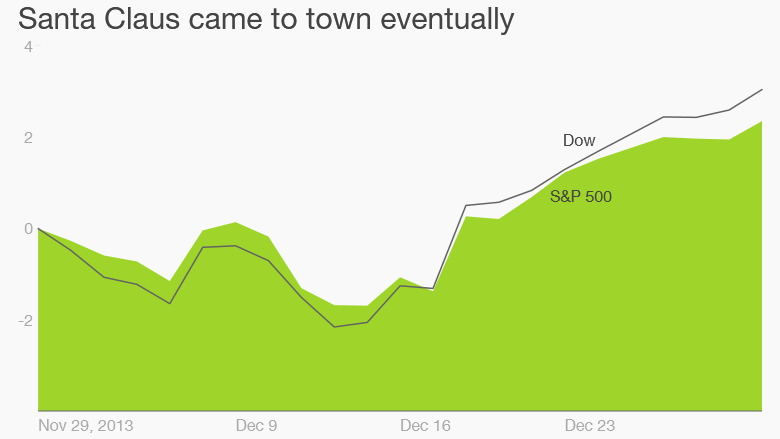 But the market typically surges at the very end of December -- once many traders head out for the holidays. Stocks can have exaggerated moves on low volume. "After the Fed meeting, a lot of big investors are off to St. Kitts or the slopes," Arone quipped. "There will be a lack of liquidity that could drive stocks higher." Rapidly plummeting oil prices led to big losses in the stock market during the first half of December. But as the chart below shows, stocks took off in the final two weeks of the month. The same thing happened in 2013 too. Stocks looked like a lump of coal in the first few weeks and then picked up steam in the second half of the month. But not everyone believes investors should be leaving milk and cookies for jolly old St. Nick. John Kosar, chief investment strategist with Asbury Research, noted that there has been particular weakness in large bellwethers lately, such as Apple (AAPL) and Warren Buffett's Berkshire Hathaway (BRKB). He thinks these market leaders will need to turn around in order for the overall market to bounce back. But what about the Fed? "The significance of a quarter-point Fed rate hike from zero is more symbolic than influential," Kosar said. 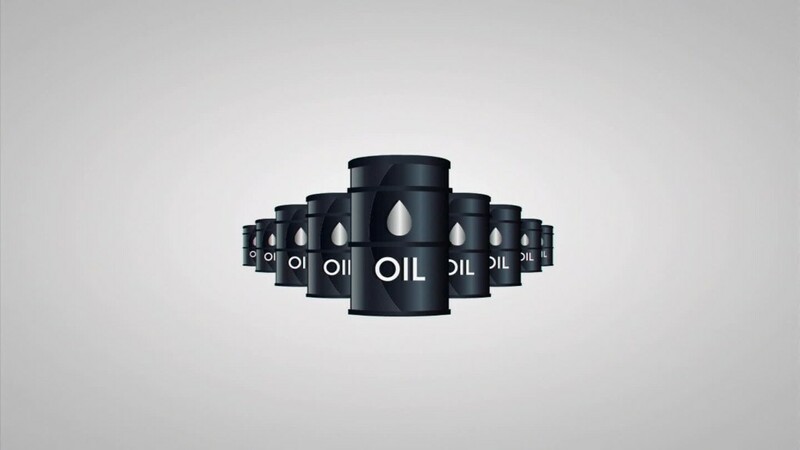 He added that the significant drop in oil and other commodities outweighs anything the Fed does because low commodity prices paint a picture of a global economy that's just getting weaker.